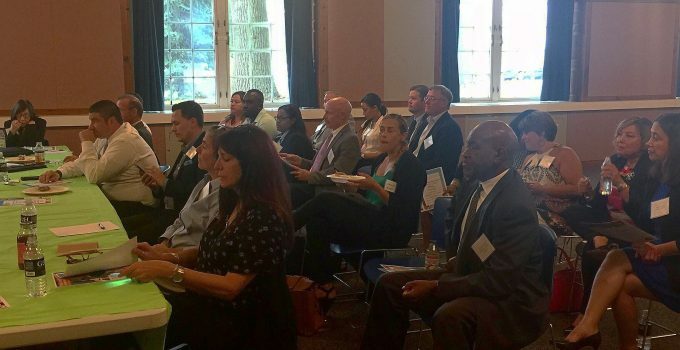 HDF was proud to host Senator Bob Duff to speak about affordable housing in Connecticut at this event, as well as Charles Scott of Tristate Realty, whose testimonial showed how HDF can effectively partner with other real estate professionals to deliver the best outcomes for clients. The layering capabilities of our downpayment assistance programs are able to uniquely support first time homebuyers. The audience was full of questions about this features, and HDF’s Kelly Almanzar’s presentation and Q&A session answered all of them. Though the event heavily featured Project Reinvest, a program designed to provide up to $10,500 in assistance to eligible first time homebuyers, each of our programs was also reviewed for the group. Interested in finding out more? Find a full list of our available downpayment assistance programs on first time homebuyers page.